Craig enjoying time in the ocean. 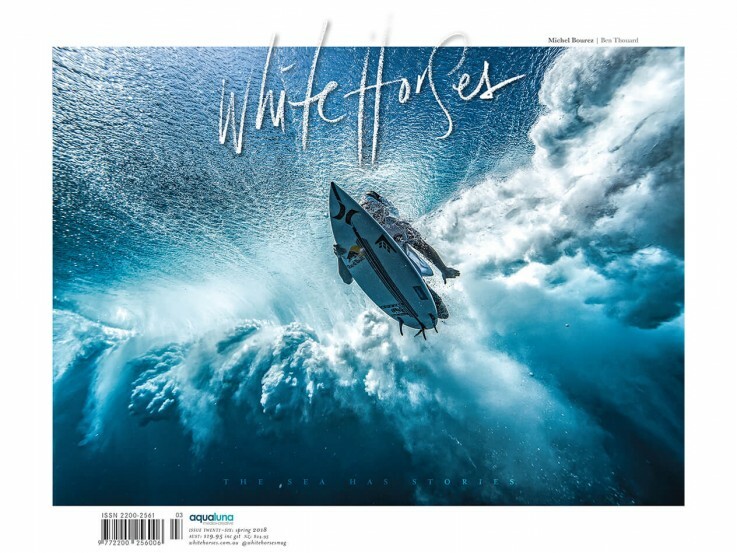 Another iconic cover for the ever creative White Horses Magazine. 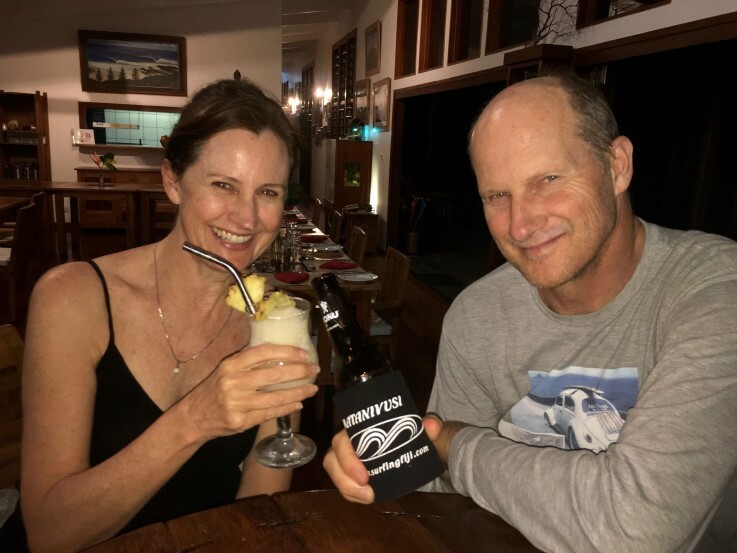 Craig and Partner Gayle enjoying some well earned time off. Surfing Life ... The Surfboard Issue! 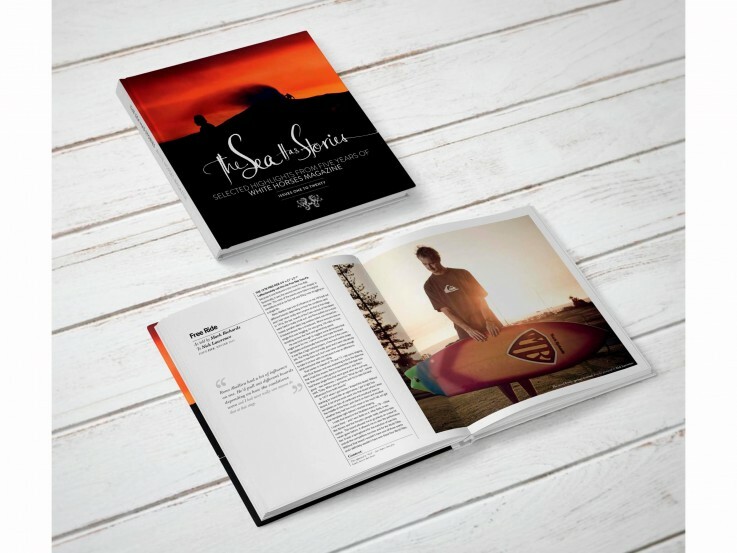 The Sea has Stories - "Epic yarns from the last five years of White Horses"
Publisher, entrepreneur, lecturer, academic - all titles that describe Craig Sims career. With decades of experience under his belt publishing a host of well-respected surf magazines, Craig made the bold move of purchasing two of Australia’s best. The acquisition of Surfing Life and White Horses, returned them to the Gold Coast, and the eager hands of the surfers who ran them under the original publishing house Morrison Media. Under the banner of his own publishing company Aqualuna Media and Creative, Craig, and a small team of über-talented creatives, have kept these beloved titles flourishing in a climate that is less than favourable to print media. 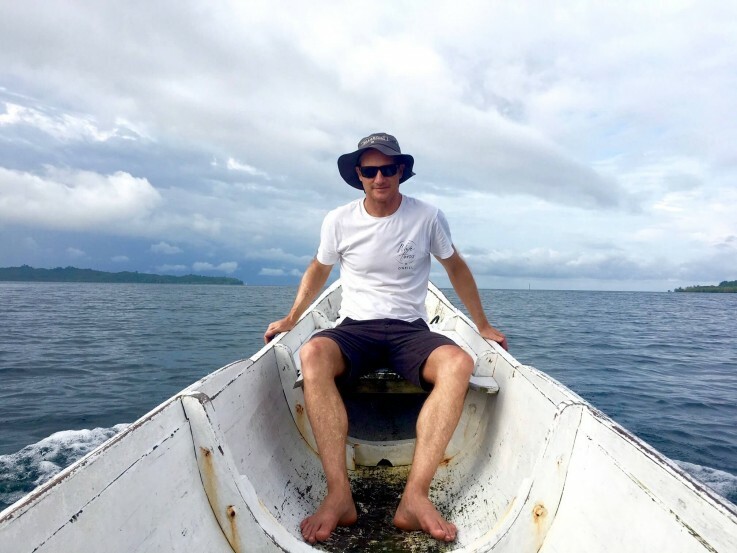 With an admirable work ethic and no shortage of passion Craig continues to breathe life into his successful magazines, while completing his PhD at Bond University and lecturing the next generation of media moguls on the side. So let’s start at the beginning. Where are you originally from and where do you call home now? I grew up in Durban, South Africa and owned and ran a publishing company there for 20 years. We had five titles, one was Zigzag, the third longest running surf mag in the world, which is still going strong today. I sold the business ten years ago, moved to the Gold Coast with the intention of changing careers but ended up in almost the exact same position, as the GM of Morrison Media running seven titles including Surfing Life and White Horses, and working with some very talented and hard-working people. We caught up with you almost five years ago, back in your Morrison Media days. One of our questions was “Where do you see yourself in 10 years?” So five years on, how have things changed and did you move in the direction you thought you would? Yes, broadly I would say I’m exactly where I thought I’d be - advancing in my academic journey and enjoying my publishing one. I feel like I’m working harder and am more mentally challenged than ever before, but growth in knowledge and experience is the payoff you get from that. Working in publishing is incredibly hard these days, particularly due to how things have been changing within print media. Tell us how you have managed to take on two very different, much loved surf magazines and continued to make them such successes in this ever digitalised world? It’s been a fascinating time for surf media and my response to this evolving media landscape has come from a combination of 30 years of experience in surf media and unlimited access to a vast amount of academic research from a bunch of super intelligent people all over the world. 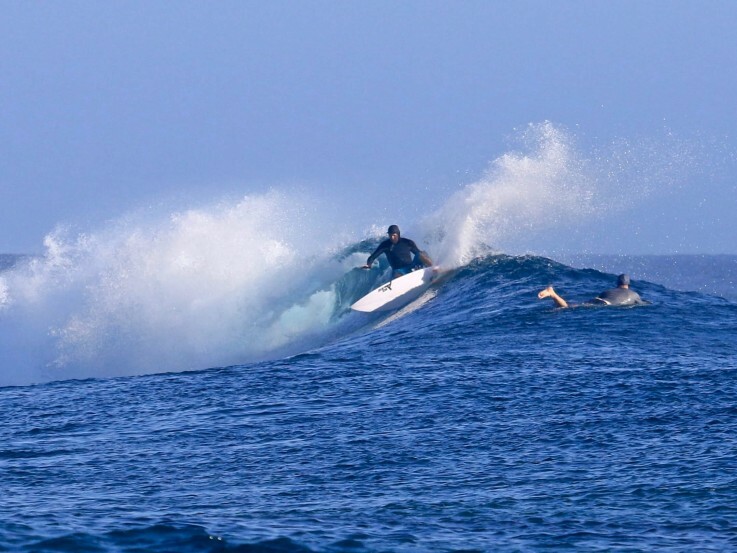 This fusion of real world experience and the latest research resulted in the unique publishing approaches of Surfing Life and White Horses. What is the rationale behind White Horses? White Horses was launched about 6 years ago, when most magazine were going out of business and Gra Murdoch deserves the most credit for laying the foundations for a magazine that is unique and distinctive in its quality, tone and positioning. My role as publisher was to make his vision commercially viable. In many ways White Horses is the antidote to an over-saturated digital world. White Horses offers respite by being a luxurious tactile indulgence that is a million miles away from your digital screen. We’re an analogue product, but we’re not anti digital. Apart from the magazine White Horses has strong and strategic digital capabilities. And Surfing Life has experienced a big renewal? If White Horses was a proactive move occurring at a time when print was in steep decline. Surfing Life was more of a reactive move, conceptualized about 3 years ago out of a need to adapt and innovate or die. There’s nothing wrong with surf mags; they still inspire, still have authority and are still important to the sustainability of the surf industry. The problem is that surf mag publishers haven’t done anything fundamentally different in twenty years, while the media world around them has completely transformed. And this is why they are failing. 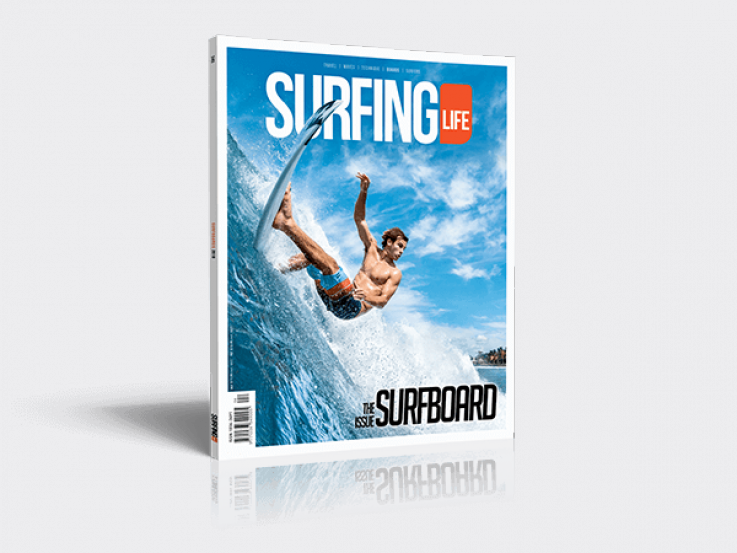 Surfing Life’s new publishing approach was the answer to the question; How can we better reflect our magazine’s purpose in the modern era? We looked closely at the deficiencies of digital media and saw the coming tsunami of unreliable information, fake news and PR-induced material that would engulf the internet and erode trust. We figured that if done right the humble surf mag had the opportunity to be an authoritative content platform which is focused, informed and trusted by its readership. But it had to change, radically. So we made the call to reduce the frequency from 12 to just 5 issues a year with each issue based on, and solely dedicated to, one of the five pillars of the core surfing experience: Surfers, Surfboards, Waves, Surf Travel and Technique. Every surfer worth his salt wants to learn more about these topics. This “more focused and more informed” approach enabled us to provide the reader with content that had the substance, depth and authority that the internet lacks, and is worth paying for. It was a bold new publishing paradigm designed to make print relevant and influential in a media landscape increasingly dominated by digital noise. And Surfing Life has never looked back. I know this is probably like being asked to pick between your children, but just for fun, if you had to pick a favourite out of Surfing Life and White Horses, which would it be and why? Well, currently I’m giving more time an attention to White Horses because Ray and Brad have Surfing Life under control, but I’m super proud of both mags, though I have to say credit must also go to the people who got these mags to where they are today. I’ve merely built on their work. They’re too many to list but the current crew of (White Horses) Gra Murdoch, Rob Bain, Will Bendix, John Harland, Abbey Byfield, Tamryn Sims, Ray and Lystra Bisschop, Brad Bricknell and Ange Thompson, all contribute to the products you see today. They’re talented, committed and passionate. In the same way we all remember a magic wave or session, is there an issue that you’ve published that sticks out in your memory? After thirty years of publishing surf mags, picking out a few favourites would be impossible. But honestly, every one of them is a product of a deeply personal and immersive effort. That’s why it’s so fulfilling. So where does Uni come in? Tell us about your lecturing role at the Gold Coasts Bond University? How did this come about and what area do you lecture in? I’m about half way through my PhD with the Bond Business School, and I’m researching the changing patterns of media use among the emerging youth market (Gen-Z). The results will be of benefit to the entire industry, and I hope everyone will support me by responding to my surveys during 2019. I also teach into a few subjects at Bond; The Australian Media, Critical Thinking and Communication, and Leadership and Team Dynamics. These are fascinating subjects with endless layers of depth and complexity, and teaching them is very fulfilling. What’s the best thing about what you do, and what is the most challenging? I love both streams, one is more creative the other is more intellectual. Both can be challenging but on the whole both are super rewarding, otherwise I wouldn’t be doing them. 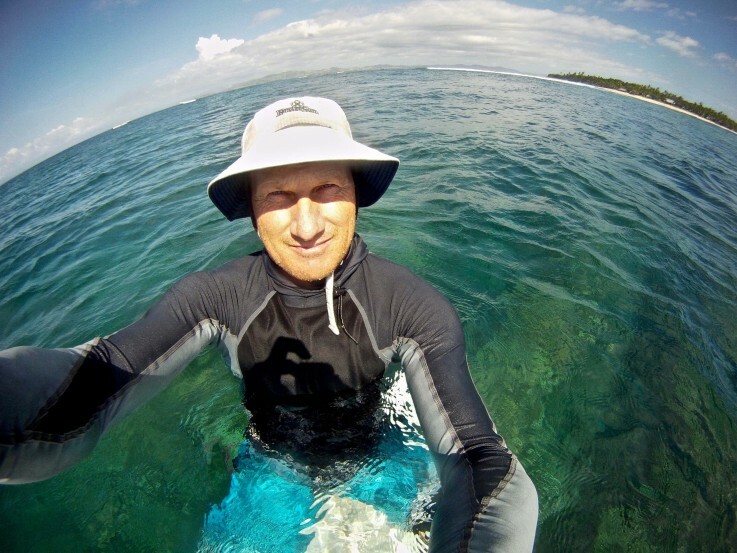 What advice would you give those looking to make their mark in surf media, particularly within print media? The magazine industry has been decimated by the emergence of digital media technologies, and deservedly so because most magazines have failed to adapt their product or their business models despite wholesale changes in the way media is disseminated and consumed. Now that we’re in the post truth era where fake news and dodgy personal data breaches have exposed cracks in the digital media space, most people agree that print media has a role to play in society. Surf mags in particular, play a crucial role in the maintenance and dissemination of authentic surf culture, and their presence is more important now than ever before. So my advice would be to go for it, but look to the gaping deficiencies in digital media to discover print’s strengths, and leverage them to become relevant and in-demand, because the surf industry needs you more than it knows. I’m not well known, so I don’t think I’m known for anything. Maybe now it’ll be that guy who had that little article on surf careers. I think I have been reasonably successful, progressive and innovative as a publisher but I’m more proud of my conduct than any measure of “success”. Integrity, humility and empathy is often an impediment to short term success but it’s what underpins your reputation over the long term. I think creativity, self-improvement and being challenged inspires and drives me. 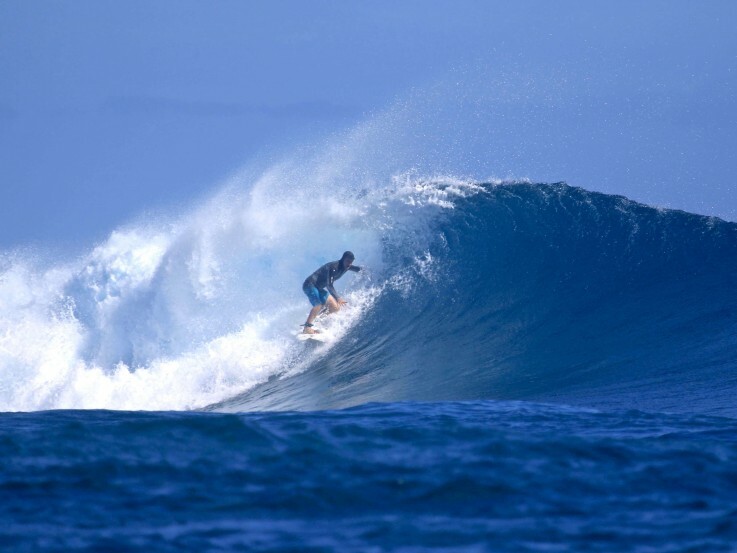 I would spend a day with Mike Tomson or Marc Price, two genuine surfing visionaries. The CEO of Quiksilver, Billabong, Surfstitch or Pacific Star Network just to find out what the hell they were thinking at various times in their history. When one of the world’s largest media companies asked if they could buy my little South African publishing company. Uncrowded, 6-foot lefts, Frigates or Restaurants and dark chocolate. I’m still learning but so far honesty, humility and integrity pays off in the long run. Of all the places you have travelled to, what place in particular stands out? 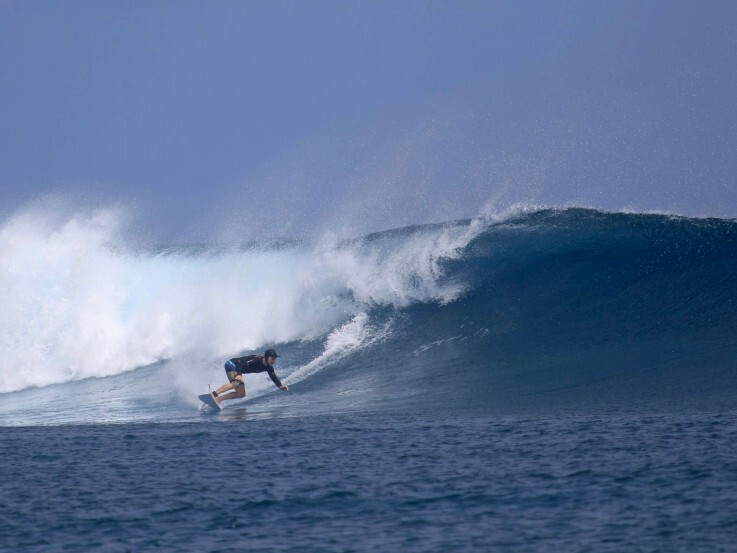 I love travelling to New Zealand because the scenery is amazing and there are no snakes, and surfing in Fiji because Fijians are such nice people and I love surfing on my forehand.